Anticipating a postcard perfect tropical retreat with warm sunny days and eye soothing turquoise waters, on a bumpy ride aboard small planes, our motley crew descended through the clouds to land on a tiny spit of white sand in the Atlantic Ocean. We’d arrived at the first group of islands in the Bahamas chain, Bimini -- with the small islands of North Bimini and South Bimini at its core – it’s only about 50 miles from Miami and all of 9.5 square miles in size. The slow pace of life on the historic atoll feels like a world away. It’s a land of simple pleasures and friendly folk, many descended from those enslaved for centuries and finally liberated by English plantation owners well in advance of those on the US mainland. It’s where American writer Earnest Hemingway spent two years in the l930’s fishing, drinking, swimming, drinking, writing, sleeping, drinking… much like a character in his last book, Islands In the Stream. Our group of 11 friends hailing from cooler and cold wintry climes in January soon boarded a 90 foot steel vessel, the Indigo, received a spirited if well rehearsed orientation from the captain and hunkered down for what would be some sloshy days in cool tropical storms. The days were punctuated here and there with some plunges into the sea for intimate time with sting rays accustomed to humans and a WWI shipwreck turned corral reef and fish sanctuary. One day we spent a solid two hours in close contact with wild Atlantic Spotted dolphins along with some Bottlenose leaping and darting around our boat in pairs, threes and eventually dozens in a seeming Cirque du Soleil of cetacean aquatic acrobats flipping, flying and flashing around us in the swells. It was special. And our picture postcard was growing damper every day with grayer, cooler, wetter days than anticipated. What none of us had anticipated, however, was a timely encounter with history of a different kind than the infamous Bimini rum-running during the US experiment with prohibition and the well-promoted Hemingway legend. Taking a leisurely stroll through Alice Town, North Bimini's main settlement that dates back to 1848, we found homes in various states of repair and disrepair, a museum, collection of small shops, family-owned restaurants and bars, one bank and no traffic lights. On one side street stretching down to the waterfront our group met up with 83-year-old Ansil Saunders, local legend and world-renowned boat builder laying out a keel for his latest bonefish boat in his small humble shop. In the week leading up to a national celebration of Rev. Martin Luther King Jr.’s birthday, to our amazement we discovered Saunders had served as his personal guide in 1964, when King wrote his Nobel Peace Prize acceptance speech on Bimini. King also returned to Bimini in 1968 to write the last speech he delivered to the sanitation workers in Memphis, Tennessee, before his death. 51 years ago King wrote part of his eulogy in Saunders' wooden boat deep in the Bimini mangroves, dense groves of shrubs dotted with clear water lagoons that provide a nursery and haven for fish, shellfish and birds. Saunders recalled for us his sense of a deep humility in King and an even deeper sense of peace King had in his connection to nature. In this place King was inspired to write some of his most powerful words and at one point shared with Ansil that he felt more at peace here than anywhere he’d been. On his last visit, King also shared he did not think he had long to live and in fact was assassinated days later. On the day before our departure from this world apart, Captain Ebbie who had most conveniently pulled up right alongside the dock at our rented home on a canal on South Bimini loaded us up in his motor skiff. A big stout man with a toothy grin, he seemed happy to see us and we immediately engaged in some banter with a leading question. His first and immediate response? We sped out into a stiff breeze headed for the mangroves with a first stop at the “Healing Hole,” where Ebbie told us about a miraculous healing for a boy with cancer and the intriguing involvement of Edgar Cayce, a famous seer and healer. Ebbie insisted we all jump in the water and head up the trail to see for ourselves. Most of us let out a squeal as we hit that trail, one that splashed cool water up to our knees, then waist and eventually over our heads. We single filed along, each of us marveling at the intertwining branches and long sinuous water-seeking roots of the red mangrove, at times happening on to colorful little crabs and darting fish. Back in the boat, led by Ebbie in a rousing chorus of Amazing Grace, (one way to get warm again!) we cruised along once again through mangrove raceways and across clear water lagoons, eventually coming to halt at a raised platform on pilings. We wondered what this lonely man-made structure was doing way out here until Ebbie had us pile onto it and there in front of us a few feet away on a pedestal rising from calm water appeared a sculpted bust of the peace and equality activist himself, Martin Luther King. At last this man who had given so much and done so much to move a vision forward and whose life had been cut short, had come to his place of peace or at the least had been recognized in a place where others continue to seek peace in nature and peace in the knowing that the struggle for harmony and true humanity among humans continues in diverse forms of life today. To the person, our group of friends who had gotten along famously amidst waves, wind and rain over the last 8 days was in awe. We were no longer anticipating sunny skies. We shared in that deeper oft unspoken understanding that good friends have. It’s not the conditions that rule the day, it’s how we stand, work and play together that matters most. This post dedicated to friends Jim, Karin, Loren and Lisa, Victor and Leslie, Daniel and Tom, Barb and Steve. May we each continue living the dream. What if there were a perfect society that could only produce the happiest, healthiest, most loving people you could ever imagine you’d want to be around and spend time with, even create your own life with or alongside? What would that society look like? Who would those people be? Decades ago I attended one of the most awe-inspiring and powerful talks by any person I’d ever heard speak. His name was Huston Smith, a scholar of comparative religion born in China, educated in the US, now 96, and author of the most popular introduction to world religions ever sold, The World’s Religions. He had the rapt attention of his audience with his penetrating exploration and thinking on a larger scale than most of us usually do. He helped plant the seeds in me for the questions I just asked you. What Smith said was that through his travels and studies he discovered that world cultures could be grouped into three distinct groups, each with a primary cultural characteristic. One group he identified as the West included the US, Canada and Europe and promoted the development of the individual as the most important characteristic; the Far East including China, Japan and similar societies emphasized the greater good of the group; and India had traditionally pursued the inner world of spiritual development. He proposed that we take each of these characteristics and blend them into a unified whole that would support the full development of individuals and utilize the power of cohesive and harmonious groups and teams to create a greater good for all. What brought that long ago lecture freshly back to mind for me is the experience I am now having with a wonderful group of Japanese culture changers at a nine day training on Lago Maggiore in northern Italy, a training created by my colleagues Janet and Chris Attwood, co-authors of the NY Times best selling book, The Passion Test: The Effortless Path to Discovering Your Life Purpose. Not long ago, I had coached a Japanese man who translated The Passion Test book into Japanese and is now himself a best-selling author of self-empowerment books in his country. Through the Attwood’s focused efforts, the Passion Test and associated processes and tools have quickly become recognized as a beautiful way to capture the best characteristics of both West and East underpinned by the Attwood’s life long commitment to inner development as an important basis for individual achievement, human liberation and social transformation. As this group from Japan opens to receiving the training and support to become powerful national leaders in Japan and Europe, I am touched to my core by these men and women sharing their discoveries about themselves as they go deeper and deeper into what may have held them back, release that and fully claim the unique gifts they each have to offer the world and each other as team members working intimately and effectively together to inform, educate and move their society in the direction of fulfilling it’s greater destiny. And I am struck by our shared humanity across cultures as I live and work here for this time in a country full of passionate people, the Italians, whose language I am learning to speak with another people’s language I’ve never had much exposure to at all, Japanese and it’s beautiful pictographic form of writing. The gracious and highly skilled Japanese interpreters for the group are true bridgers of worlds for us as we travel through each other’s inner territories together experiencing laughter, tears, closeness between us as individuals and a feeling of unity that is powerfully palpable. Indeed, I believe I've begun to do more than hope for or imagine that society I asked you about. I am living in it. And it is about go viral. I was in a bit of a state of shock when I arrived at work to find out someone had tried to burn my office down. A neighbor had called the fire department and everything was under control with no substantial damage done by the time I arrived. Why would someone do something like that? It was l985 in the USA, at the beginning of President Ronald Reagan’s second term in office. I was a Director of Information and Education at a Planned Parenthood affiliate providing low cost voluntary family planning services to those least able to afford it, both women and men. Among other duties, I had been hired to specifically address how teen boys could be supported to take responsibility for their role in teen pregnancy as well as to foster healthy father-son relationships that included conversations about taking that responsibility. Though the bulk of Planned Parenthood and my mission was to educate people about their individual and private choices, I was well aware of the controversy over abortion services—and that is what had flames licking the siding below my office window. When people feel powerless, they are at risk of being manipulated and can sometimes be driven to desperate measures to draw attention to what they feel is wrong, not just for them, but everyone. Ever since the l973 U.S. Supreme Court decision supporting women’s right to choose whether or not to end a pregnancy in consultation with their physician was put in place, there have been those who have attempted to reverse that decision, in any way they possibly can think of, at any cost to others. Uniquely in the USA for many decades now this issue has been used by politicians to curry favor for themselves or denigrate others by playing on the strong emotions of a minority of voters. We are currently seeing the latest version of a strategy to divide and conquer with Planned Parenthood again being used as a convenient target for an angst that is continually inflamed both by people with strong personal convictions and beliefs and others that simply see abortion controversy as a political football to keep in the air for political gain and power. That is why you will see many seeking or in political office waver in their opinions or support for reproductive choice. They are attempting to see which way the political winds are blowing with particular constituencies before they take a clear stand. Unfortunately, playing political games with the lives of women, men and families in need of high quality reproductive health care undermines both the health and freedom of hundreds of thousands who have have come to rely on Planned Parenthood for safe, reliable and effective means for making their own private choices about when and how many children they will have. It is always important to remember that for some, when they cross the threshold of a clinic it may be their first access to health screening for cancer and other services associated with primary health care that person might not otherwise receive. I’d like to think this drama will stop repeating itself in my lifetime and political machinery will no longer benefit by the constant flame fanning of this divisive issue. I’ve no investment in changing people’s strong convictions about when life begins or their choices about their own pregnancy, the consequences of which are shared by both women and men. I do know that when men in particular (along with women) feel they have the right to determine other individuals and families life choices, they are not merely hypocrites maintaining they are committed to individual freedom, they support those desperate ones who lit fire to my office. If not explicitly they implicitly condone acts of terror against their own country men and women. Now well into the 21st century anti-abortion violence has actually remained a consistent, if secondary, source of domestic terrorism and violence, manifesting itself most often in assaults and vandalism, with occasional arsons, bombings, drive-by shootings, and assassination attempts. Acts of terror don't arise in only one culture or religion nor from an aberrant gene. This violence, like other forms, is committed by those who have become emotionally isolated, lost touch with their own humanity or are manipulated into believing that denying others their right to liberty and the pursuit of their own happiness, is a threat to their way of life, when it clearly is not. They are acting out their own personal powerlessness. On another plane of view, I can see how these continued threats to individual freedom serve a purpose as they bring more into the open both the shadow and light of power and powerlessness. They provide an opportunity for men of honor to declare themselves allies to not just women, but to themselves and their own core values, their authentic and true personal power. During this political season and era, consider telling Planned Parenthood what a fine job they have done for you or anyone you’ve known lucky enough to cross the threshold of one of their many welcoming clinics. Support those political leaders who are true public servants that understand the critical importance of taking a stand for the health and wellbeing of all American families and the funding that makes that possible. And for those readers living elsewhere than the US, remember that the International Planned Parenthood Federation supports many programs on all continents, making a healthy difference for those women and men attempting to take charge of and make better lives for themselves and their families. The U.S. Justice Department sided with Planned Parenthood in its court battle with Louisiana Gov. Bobby Jindal (R) Monday night, telling a federal judge that Jindal lacked "sufficient reasons" to cut off Medicaid funding to the family planning provider. Last month, Jindal moved to cancel Planned Parenthood's Medicaid contract in Louisiana after an anti-abortion group released a series of heavily edited undercover videos that show the organization's doctors discussing the donation of fetal tissue for medical research after abortions. The 2016 presidential hopeful and other Republicans are claiming the videos show Planned Parenthood engaged in the illegal sale of fetal body parts. Jindal felt so strongly about the undercover videos that he aired them on the lawn of the governor's mansion during a recent demonstration in favor of Planned Parenthood in Baton Rouge. Planned Parenthood Gulf Coast, which does not offer abortions in Louisiana, asked a federal court to block Jindal's move in late August, arguing that the undercover videos lack the evidence to "back up false and outrageous claims." Donation of fetal tissue after abortions is legal, and federal law explicitly allows for donors to receive reimbursement costs for the preservation and transportation of fetal tissue. Five state investigations into Planned Parenthood have turned up no evidence of wrongdoing. Jindal said in a statement last month that the Medicaid provider agreement between Louisiana's Department of Health and Planned Parenthood "gives either party the right to cancel the contract at will with a 30-day notice." His office did not respond to the U.S. Justice Department's "statement of interest" filed Monday night in favor of Planned Parenthood. A funny thing happened on the way to the movies this week, or rather when I got to the box office. The movie I had intended to see, Me, Earl and The Dying Girl was not being shown as advertised online for that night. My friend Tim had just told me I wanted to see that movie and post a blog about it. As I’d driven across town to this venue and there was a group of women meeting at my house, I decided I’d still make it a one guy’s night out and bag a different flick, Mr. Holmes. I’m glad I did. No mistakes. This crime drama mystery directed by Bill Condon and based on the 2005 novel A Slight Trick of the Mind written by Santa Fe’s own Mitch Cullin features an aging Sherlock Holmes (played by Ian McKellen, Lord of the Rings “Gandolph”) living in retirement with his house keeper Mrs. Munro (played by Laura Linney) and her young son Roger (played by Milo Parker). The film follows a 93-year-old Holmes living in his country estate, struggling to recall the details of his final case while his mind begins to deteriorate. In 1947, having just returned from a trip to Hiroshima, he starts to use jelly made from the prickly ash plant he acquired there in an effort to improve his failing memory. Unhappy about his ex-partner Watson's account of Holmes' last case, he hopes to write his own account, but is having trouble recalling the details. As he spends time with Roger, showing him how to take care of the bees in the farmhouse's apiary, Holmes comes to appreciate his curiosity and intelligence and develops a paternal liking for him. Over time, Roger's gentle prodding helps Holmes to remember the case (shown in flashbacks) and why he retired from the detective business. The movie was based on autobiographical material from author Cullin’s life as a boy who cultivated a relationship with a kindly and learned neighbor who gave him access to one of the most complete collections of Sir Arthur Conan Doyle’s works. Without revealing more of the plot, as I’d hate to spoil it for you, my focus here is multi-faceted. On the one hand it is a story that illustrates how genius can be a blessing but also a curse when combined with what I’ve spoken about throughout this blog, “men’s isolation.” The great rational and deductive thinking ability of the Holmes character is thrown into relief when viewed as a wall between he and the characters reaching out to him for human connection and emotional resolution. His own emotional intelligence is portrayed as crippled but not beyond recovery at age 93 and it is the boy Roger who creates that bridge back to his own deeper humanity and personal redemption. The movie’s striking portrayal of the aftermath of destruction in Hiroshima is timely as the recent 70th anniversary of the dropping of the nuclear bomb on Hiroshima and Nagasaki, Japan has just passed with continued mixed feelings about war, destruction and peace on a global scale. Through no intentional effort on my part, the home I’ve now lived in for four years happens to have a large picture window in the living room that perfectly frames the town and laboratories of Los Alamos, home of the famous and infamous Manhattan Project. The lights from that ancient volcano mountainside twinkle and dazzle us at night. I wonder to what extent the inner workings of elder Sherlock’s heart as it begins to open becomes the hologram for our society’s own gradual collective opening to the pain and suffering we believe we both avoided and collided with simultaneously. And if prickly ash is no guarantee we can remember what we’ve done and not repeat history maybe this film can help us to bridge between our rational and deductive powers to create and destroy and our hearts that can mend and heal. 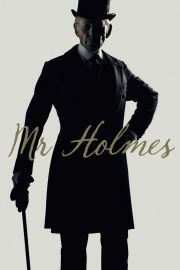 I heartily recommend viewing Mr. Holmes. But don’t trust the internet (or just plain ole human error?) Call the venue first to make sure it’s playing. P.S. Uncannily, the author is traveling to Italy in September to support a training of Japanese who are leading the passion movement in Japan. Must be about the Axis of Goodness, a new term you just saw here.